It's time to bring the 80's back - promo style! Our Full-Color, USA-Sewn & Printed Fanny Packs will give your brand such a uniquely fun and bright image that everyone around will just have to look and be amazed by them! 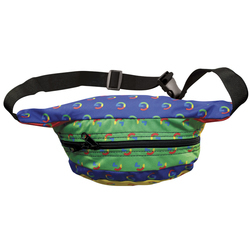 Made from Sturdy 600D Polyester, our fanny packs are made to last and leave a lasting impression. Did we mention these are Sewn & Printed in the USA? 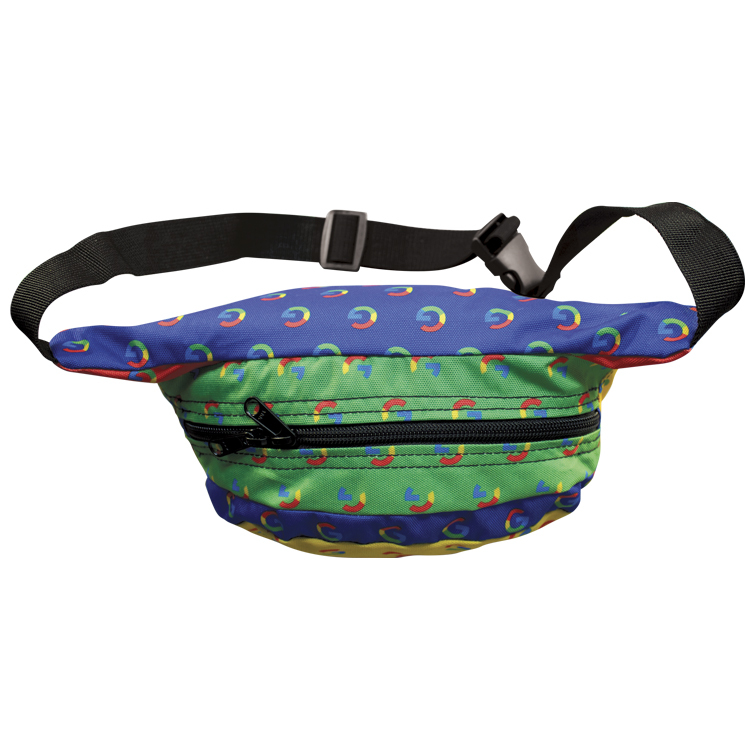 This fanny pack is a twist on an old favorite. 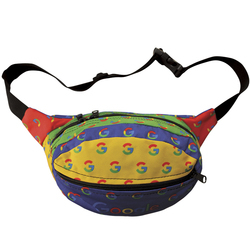 Sporting a more fashionable, rounded shape, this fanny pack is surely to stand out and make a great statement.